2018 – What’s New at NFP Partners? Can you believe it? I’ve been on this journey of providing nonprofits with accounting services and supporting the implementation of Abila MIP Fund Accounting™ with NFP Partners’ founder, Lee Bengston, for eight years now. A lot has changed since we signed our first client, and much has stayed the same. We continue to offer outsourced accounting services in an effort to impact the world, one accounting challenge at a time. We were fortunate enough to see steady growth in 2017, with an expansion of our services to nonprofits across the country. During 2018, we will work with our existing clients to analyze the services we provide and fill out any gaps or areas that could be strengthened within each relationship. For a better understanding of the clients we currently serve, click here. Another focal point for us in 2018 is working closely with auditors to ensure we follow nonprofit accounting rules. As a CPA, Lee has served in a key advisory role for our firm. However, he is working toward retirement sometime in the next year, which offers an opportunity with NFP Partners for an entrepreneurial CPA to fill his role. We are seeking a CPA with a vision for offering services to nonprofits and who is not just about the “debits and credits.” The chosen candidate will assist with developing strategies for business growth and excellence. Please reach out to Lee or Laura if you, or someone you know, may be interested. See Lee Bengston’s article, Career Opportunity for an Entrepreneurial CPA, for more details regarding the position. 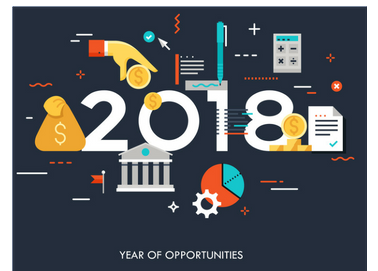 Really, 2018 is business as usual with a focus on expanding both our accounting services. Words cannot express the importance of our customers to NFP Partners. We are excited to spend another year working side-by-side with you, helping you achieve your organization’s mission!